The metaphor of referring to the operations side of business as “how the sausage gets made” is used with care in the food system because the person you are working with might actually be talking about grinding meat. Whether a metaphor or literal, the reference makes an important observation regarding the messy, unattractive, or even unpalatable aspects of the operations side of a process often done behind closed doors. The use of the metaphor reveals a desire to enjoy the final product while being separated from the details of how it is made, what it is made from, or even who made it. Yet the information age is replacing the desire for closed doors and hidden processes with a demand for transparency, especially when it comes to food. The resurgence of interest in the food system attracts an overwhelming amount of writers, researchers, film makers, media personalities, and others trying to pull back the curtain to both understand and expose the inner workings of the system feeding us. Unfortunately, many stories are being told by people that are unable to provide a comprehensive, unbiased, or even accurate portrayal of the challenges and opportunities facing the food system. While an incredible amount of good has come from the increased focus on food, it also brings with it a fair share of misinformation and marketing ploys. For many, it is easier to imagine that a clear and specific “bad guy” exists to blame because then we can arm ourselves with a silver bullet, make a clear choice, and absolve ourselves of guilt. In reality, the issues are complex and span far beyond the fields and farmers markets. Learning “how the sausage gets made” involves following the rarely simple and often complex pathway our food takes to get from farm to table. The “food system” is made up of all of the resources, people, equipment, infrastructure, and transportation that allows each of us to enjoy an incredibly diverse and relatively affordable selection of food (see image below). As someone who identifies as a “Food System Leader,” it is challenging to explain what these types of positions entail, why they are important, and how we can all play a leadership role in the system. I realized that despite the national publications and famous writers, most people want to hear from someone they know and work with, so it is important that we share within our own circles. With that in mind, here is my perspective on the food system, the issues, the opportunities, and a glimpse of my own journey. Cue my professor voice. With the incredible growth of our world’s population and the globalization of our economy, the process by which we grow and distribute food has become increasingly complex and specialized. In parallel, the number of people actually growing food has steadily been declining over the last century from 21% of the workforce in 1930 to 2% of the workforce in 2012. The combination of the increase in the complexity of the food system and the decline of farmers has led to a disconnection between the general population and those who feed them. Despite on the average person eating three meals a day, few people understand how their food is grown, processed, packaged, transported, and delivered. Even those in the industry find themselves disconnected from other sectors of the industry, a gap in understanding that has continued to grow as the system adapts to meet changing markets, climate, and consumer demands. Although generally fueled with good intentions, those passionate about the food system often perpetuate short-sighted or misinformed headline grabbing stories that create further disconnection and fail to tell the whole story (including sharing the good news). As someone that spends time with both small to mid-sized “farm-to-table” farmers and large scale conventional commodity farmers, I can tell you that all farmers are facing high risk, tough markets, low profits, and issues with labor and natural disasters. Despite these commonalities, both organic and conventional farmers are positioned against each other, often pushed into promoting their production styles at the expense of other farmers. Not only unproductive, this distraction results in people missing the deeper issues facing the broader food system. Regardless of production styles, farmers are passionate people whose businesses typically are embedded in their lifestyle and values centered around serving the community the best way they know how. In the United States, 96.4 percent of the crop-producing farms in the U.S. are owned by hardworking families living and working in our communities–not faceless corporations or cute hobby operations. The industry in-fighting and lack of operational understanding creates many barriers to developing policies, programs, and markets that ensure a healthy, equitable, and profitable food system. With only 2% of the workforce in agriculture, we need to find ways to support every single farmer in the industry and with the current Farm Bill under review, now is the time to advocate for the programs supporting the people feeding us. Agriculture is an essential economic driver. We all rely on agriculture in our everyday lives, even if we do not realize it. Specialty crops (fruits, veggies, nuts), meat, dairy, grains, legumes, and eggs are only a few of thousands of ways agriculture supports our daily lives. Commodity crops like corn, soy, and sugar beets are not only used in food but also processed into products and chemicals that are utilized in everything from laundry detergent and cosmetics to tires and upholstery while fiber crops like timber and cotton provide our clothing and paper products. According to the USDA, Agriculture, food, and related industries contributed $992 billion to U.S. gross domestic product (GDP) in 2015, a 5.5-percent share. The output of America’s farms contributed $136.7 billion of this sum—about 1 percent of GDP. These numbers only tell part of the story, with many of the newer and only recently tracked localized food system developments (farmers markets, CSAs, food hubs, etc.) increasing revenue streams for those in the food system and creating jobs in communities across the US. Immigrants feed America. Currently 72% of farmer workers are immigrants. The United Fresh Produce Association, a produce industry trade group, estimates the industry relies on about 1.5 million to 2 million immigrants. Of these millions, The Department of Labor’s National Agricultural Workers Survey estimates that at least 46% of these workers are illegal. Transportation and logistics are key. Did you know that the average grocery store only stocks enough food for three days? The entire food system is built around steady shipments of food to meet the consumer demands. Current store models give customers they can have almost anything year-round, including perishable products, even if it means shipping products thousands of miles. In parallel, 23.5 million American’s live in Food Deserts where food is not accessible or Food Swamps where only unhealthy options are available and transportation is the top listed barrier to access in both urban AND rural communities. With the increased demand for local food, the industry is also rebuilding the value chains capable of securing and transporting large and consistent volumes of locally sourced food to serve institutions such as schools and hospitals. Agriculture lands are in transition. As the average age of farmers in American continues to rise (currently 58), many operators are reaching the point in which they must determine how to manage the transition of their land. According to the USDA, between 2015 and 2019, 93 million acres of land are expected to be transferred. In addition, approximately 39 percent of the 911 million acres of farmland in the contiguous 48 States is rented. Land transition and access have been pushed to the top as one of the key agricultural issues over the next decade. The face of farming is changing. 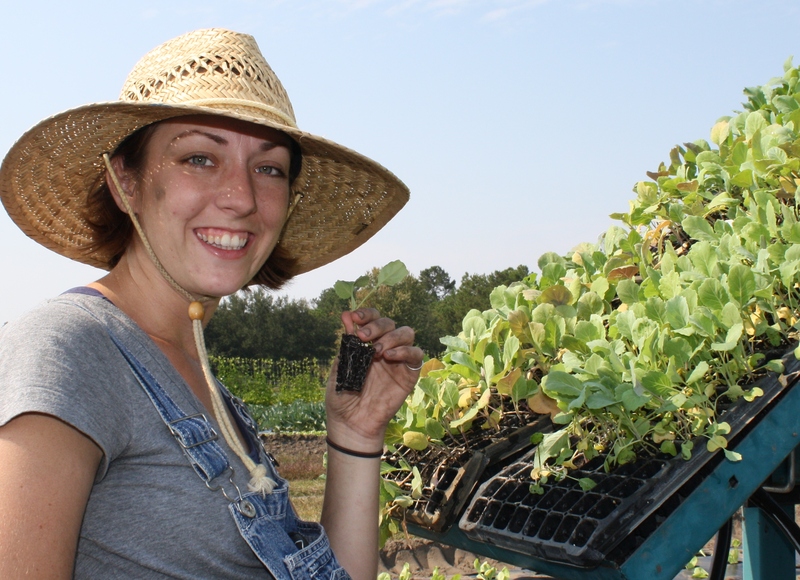 According to the National Young Farmers Coalition, new farmers increasingly come from non-farm families and are interested in diversified fruit, vegetable, and livestock operations using some type of organic production methods. The group has also seen an increase in people of color and women entering the industry. And it is not only the people that are changing but the places. Urban farming, market gardens, and micro-farms are all on the rise. While the US Census has not previously recording urban agriculture, According to the The Food and Agriculture Organization of the United Nations reports that 800 million people worldwide grow vegetables or fruits or raise animals in cities, producing an astonishing 15 to 20 percent of the world’s food. Farmers are conservationists. Farmers currently manage millions of acres of land and have a vested interest in stewarding the natural resources on which they rely. This has created incredible opportunities for open land conservation and habitat stewardship. With support from agencies such as the USDA Natural Resource Conservation Service (NRCS), farmers can have their property evaluated for conservation needs and participate in programs to plant pollinator habitat, cover cropping, bird habitat restoration, livestock fencing, irrigation, and support for no-till production. These programs are popular among conventional and organic farmers alike and are adopted by farms of all sizes. According to the USDA, roughly 40 percent of combined acreage of corn, soybean, wheat, and cotton were in no-till/ strip-till in 2010-11 (89 million acres per year), with adoption rates higher for some crops (e.g., soybeans) and some regions (e.g., the Southern Seaboard). Jobs growth in the industry outpaces qualified workers. Based on a report from Purdue University and the USDA, the agriculture and life sciences field needs qualified an estimated 60,000 candidates while qualified graduates are projected closer to 35,0000. Demand will be strongest for plant scientists, water-resource scientists and engineers, farm animal veterinarians, and precision ag and pest control specialists, among other positions. 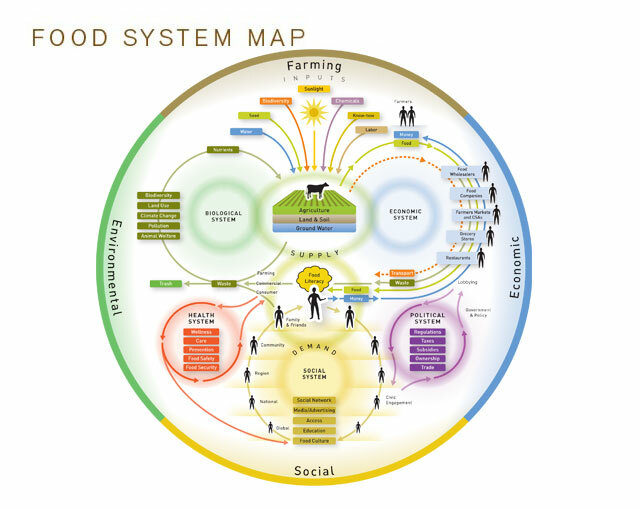 Why I am I so excited about working in the Food System? Capacity for social change. Every stage of the system is full of abundant opportunities for positive change, empowerment, and equity. As you can see from some of the key issues above, the food system needs support for educated consumers, advocates, and policy makers at every level. Opportunities for innovation and a path for career growth. This is an industry experiencing an incredible growth and transformation. The sector is extremely interdisciplinary with an array of roles from engineers and logistics planners to compost processors and seed growers and is no longer confined to small towns in rural communities but also lives in urban cores and in laboratories. So what does a career in Food Systems look like? After spending several years working in other industries, my journey into the food system started from the ground up, literally. I have had the pleasure of working as a farm apprentice with Joseph Fields Farm (aka mentor for life) and Our Local Foods at Thornhill Farm before joining the awesome team at Lowcountry Local First. During my time at LLF, I had the opportunity to work with Jamee Haley to develop the Growing New Farmers Program to train aspiring farmers and food system leaders, grow the Eat Local Program to help consumers connect to local products, launch the Dirt Works Incubator Farm to support new farmer businesses, and provided training and support for hundreds of small to mid-sized diversified farmers. This experience gave me a solid platform to launch Wit Meets Grit. Landscape Assessment of the Southeast to determine opportunities for Local Food Procurement through hospitals with Pavlin Consulting and Healthcare Without Harm. Development of the Bamberg County Health Coalition with Southeastern Housing and Community Development. Development of the South Carolina Food Hub Network with Growfood Carolina and Daisa Enterprises. Development of the SC Local Food Value Chain Mapping Project with SC Food Policy Council, College of Charleston, and SC Department of Agriculture. If the month of January is any indication, this year is one for the books. Kicking off the year, I had the pleasure of traveling to Nashville Tennessee for the National Farm Bureau Conference and was awarded as a Top Ten Excellence in Agriculture National winner. 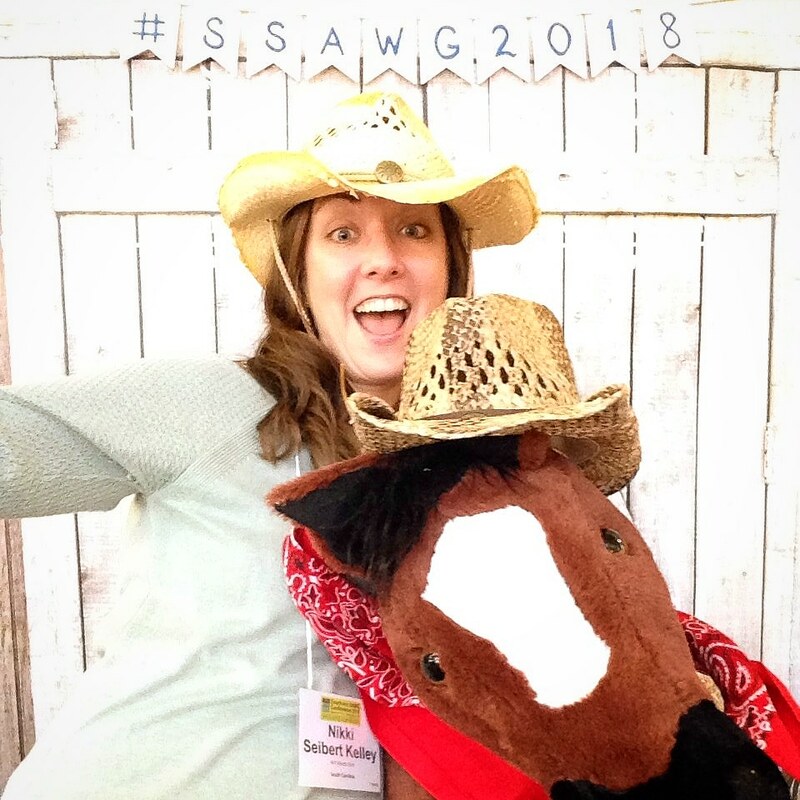 This was followed by a trip to Chattanooga, TN for the Southern Sustainable Agriculture Working Group Conference where I presented on Funding Fundamentals for non-profits, helped with conference social media, and attended the annual SSAWG board meeting. 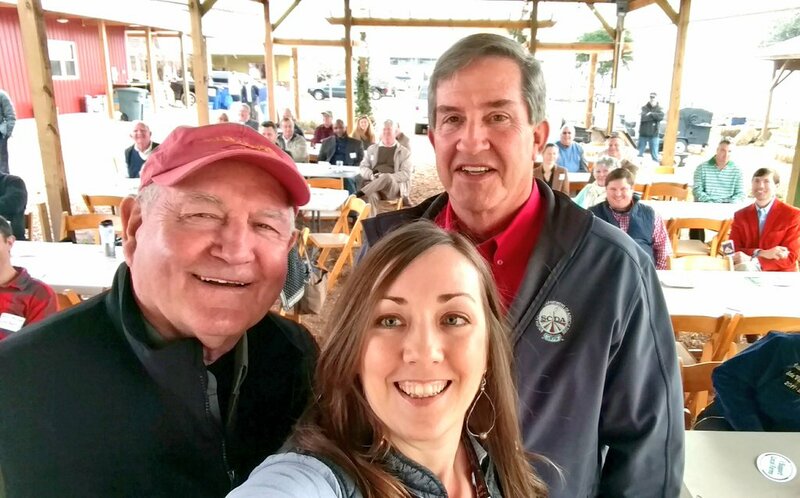 Upon return from Tennessee, I checked in with the team working on the Local Mapping Project, touched base with The Bee Cause Project, spent a day facilitating the SC Food Hub Network, and made a trip up to Columbia for a town hall with USDA Secretary of Agriculture Sonny Perdue and SCDA Commissioner of Agriculture Hugh Weathers to share input into the new Farm Bill. Wrapping up the month, I travelled to Denmark, SC to facilitate the Bamberg County Health Coalition before returning to Columbia for a quarterly SC Food Policy Council board meeting and a visit with SC Farm Bureau. While my days are not often spent in the literal fields anymore, I really enjoy digging into the entire process that gets food from the farm to the table. Thank you to everyone supporting my journey as a Food System Leader, an adventure I hope to continue for decades to come! Cultivating a hopeful future in prison.